With origins in French cuisine, a roux is used in a variety of cooking styles as a thickener for sauces, soups and stews. Traditionally made from equal parts butter and flour, it was originally a thickening base for French sauces such as bechamel. You can replace the flour with ground flaxseed, also known as flax meal. 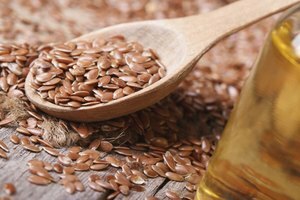 Flaxseed is naturally high in soluble fiber, which thickens as it comes into contact with liquids. Flax meal is made from grinding whole flaxseeds, which you can do at home with a blender or coffee grinder. Or, purchase the meal in grocery and health food stores. To make flax meal for use in a roux, you want a finer grind; it should flow freely and have a powdery texture, much like flour. A finer grind is necessary to ensure that all the soluble fiber in the seeds is available, as it is needed to replicate flour’s thickening properties. The longer you grind flax meal, the finer it will be. To make the roux, use double the amount of flaxseed as you would of flour; flax meal is not as strong a thickening agent as flour is. Add the flax meal to the melted butter, stirring to break down any clumps. Cook the mixture until a smooth paste forms. Since flaxseed burns and browns more quickly than flour, stir constantly to ensure minimal browning. It will take roughly 1 minute to make the roux paste. You can now gradually add in the cooking liquid to make your sauce. Roux made from flax meal will have a slightly nuttier taste, as flaxseeds are naturally nutty. Overcooking your roux will increase this nutty flavor, since the taste of the seeds becomes more pronounced when cooked. Roux made with flax meal will also not be pure white, as the hulls of the seeds, which have a soluble fiber coating around them that helps thicken the roux, color the final sauce. This is the case regardless of which type of flaxseed you use, golden or brown. You can use flaxseed roux as a substitute for flour roux in all dishes, so long as you allow for the slight variation in taste and color. 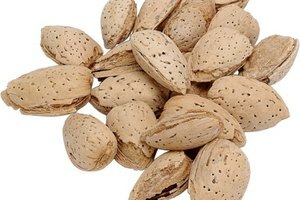 Flax meal goes rancid very quickly, as the seeds are high in fats, so it's best to make flax meal to order, grinding only as much as you need. However, purchased or extra flax meal can be stored for around 90 days in cool, dark conditions. Keep your flax meal in an opaque, air-tight container in the fridge or freezer; flax meal is light and temperature sensitive. The more coarsely ground your flax, the longer it can be stored. Whole flaxseeds can be stored in a sealed container at room temperature for upwards of a year.